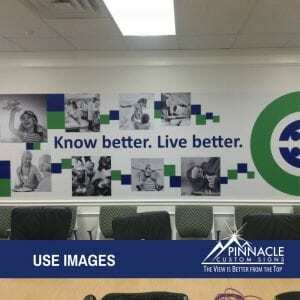 AEON came to Pinnacle Custom Signs with a tight deadline on a rebranding sign project. 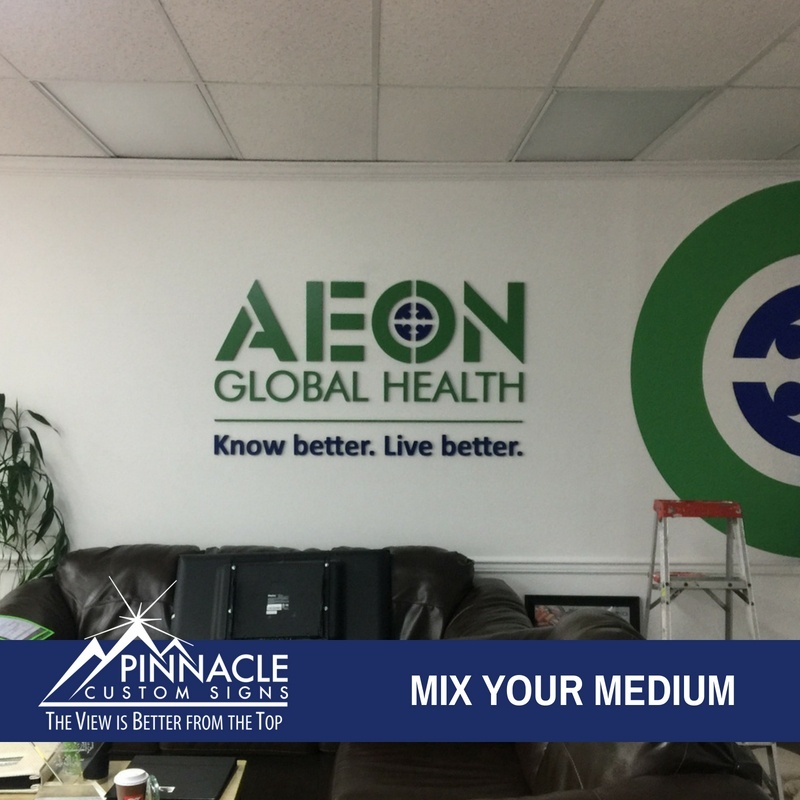 In 2018, we were contacted by AEON Global Health about helping them rebranding their image. The challenge was that they were on a tight deadline due to a planned unveiling party in only a couple of weeks. Thankfully, they had the artwork ready to go. Floor graphics that added an unexpected element to the space. 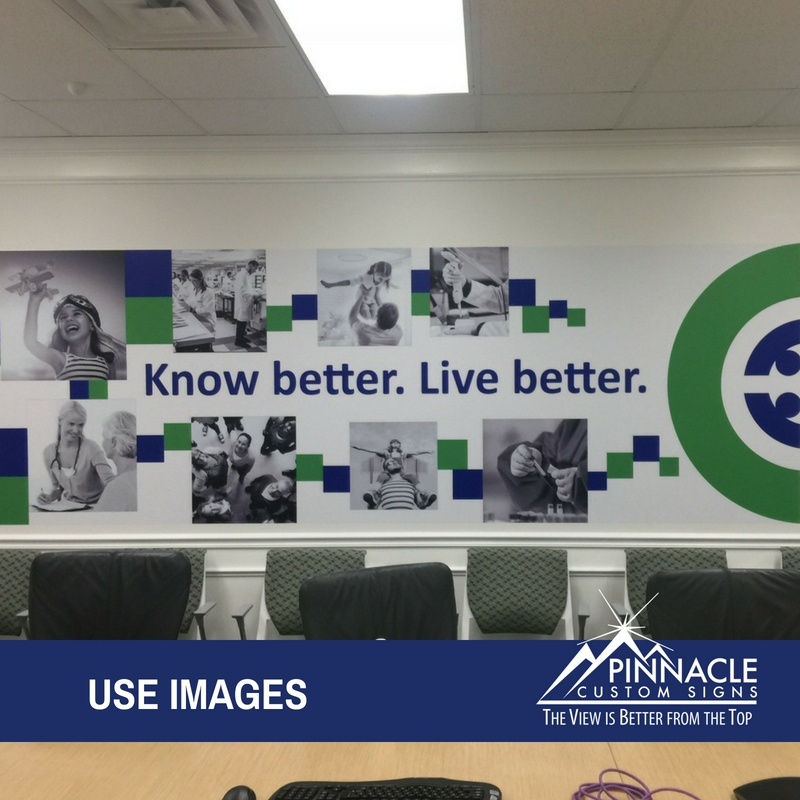 We were able to work on a tight deadline for this project because of our in-house capabilities, the willingness of our team to work weekends, the preparedness of AEON with the majority of the design assets on hand, and the excellent communication throughout the project.